For more than 30 days, the visitor's center at the Sachuest Point National Wildlife Refuge has been closed because of the partial federal government shutdown. The Rhode Island Audubon Society is concerned about how that could affect the snowy owls' trip south. Snowy owls are large, white birds with yellow eyes and a five-foot wingspan. They typically fly south from the Arctic during winter when food becomes scarce, and they prefer to stop in flat, open areas like Sachuest Point National Wildlife Refuge in Middletown. The U.S. Fish and Wildlife Service typically monitors the space to make sure people aren’t getting too close to the snowy owls, which can cause the birds too much stress. "Its heart rate goes up, it’s burning more energy, it’s going to need to find more food, if it can find more food, it’s cold, it’s stressed, it’s just very wearing physiologically on the bird itself," Lauren Parmelee, senior director of education at the Rhode Island Audubon Society, said. 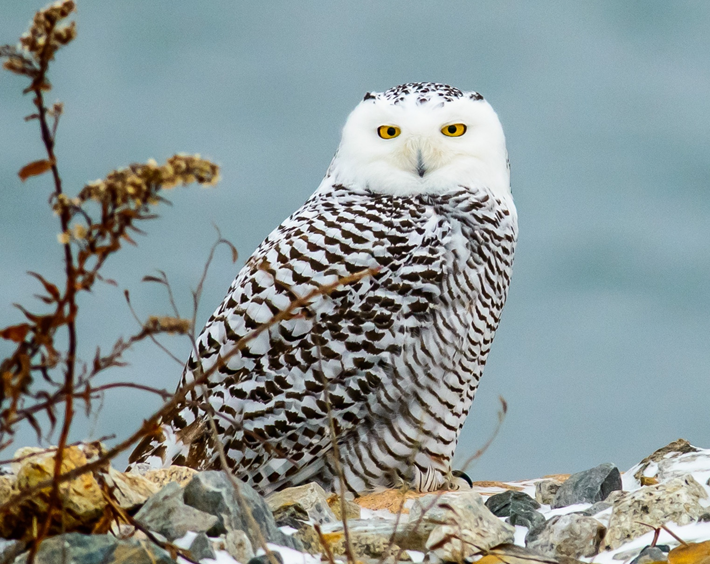 Parmelee said the federal 1918 Migratory Bird Treaty Act prohibits harassing snowy owls, but because of the shutdown, there’s no one on duty at Sachuest Point to enforce it.